“Cooky” WP theme is loosely based on our own “Cooky” Site Template, but features many useful add ons that make this WP theme easy and fun to use. As the name suggest it is built having food and restaurants in mind and was probably inspired by having an empty stomach after long day behind the screen. 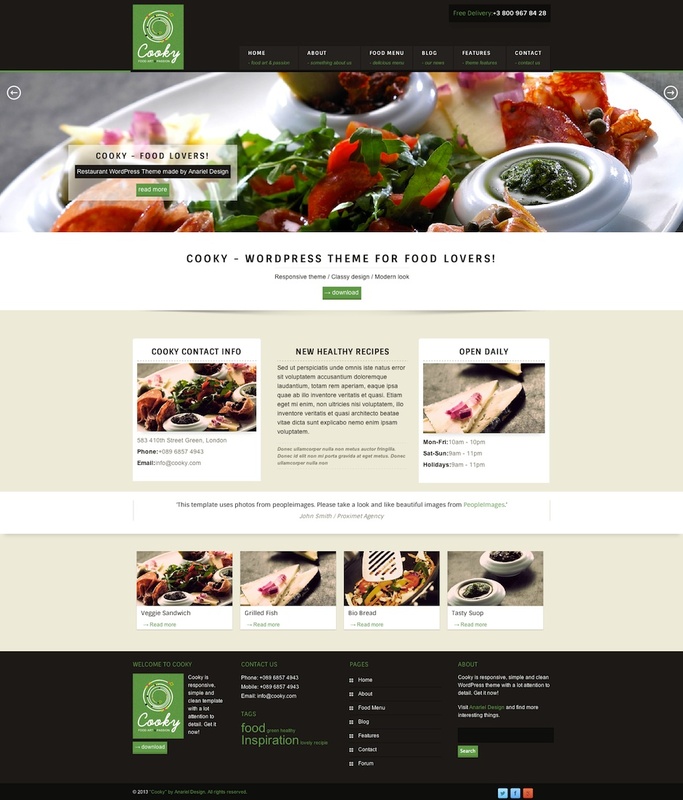 Responsive Restaurant WordPress Theme – Cooky. Features include image slider, testimonials, Food menus, ingredients to create a recipe site, shortcodes, upload videos, upload pictures, Google maps, contact info and more.